I know I've said it before, that I am not a fan of regal pelargoniums, but I have to admit that this is a real 'eye-catcher'. 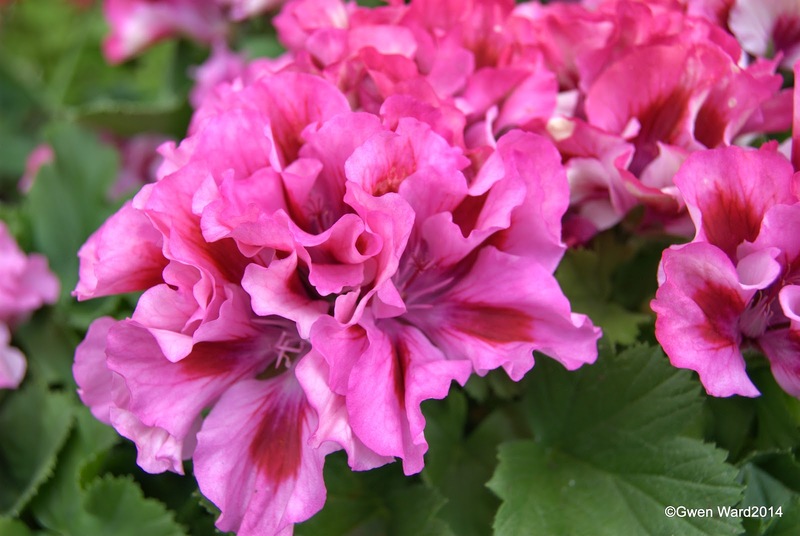 Introduced in Australia in 1977 and hybridised by Joyce Richie, this stunning regal pelargonium "Babylon" has bright deep red flowers with a white throat. This is a tall and strong growing regal. This week in the greenhouse I have been grooming my plants, removing any brown and dead leaves, and also any flowers. I always thing this is a shame and if they are well on the way to opening I will bring them indoors to brighten the kitchen windowsill. I've also prepared some Fertiss plugs ready to take a few cuttings, and my small propagator that I like to use for Angel cuttings. 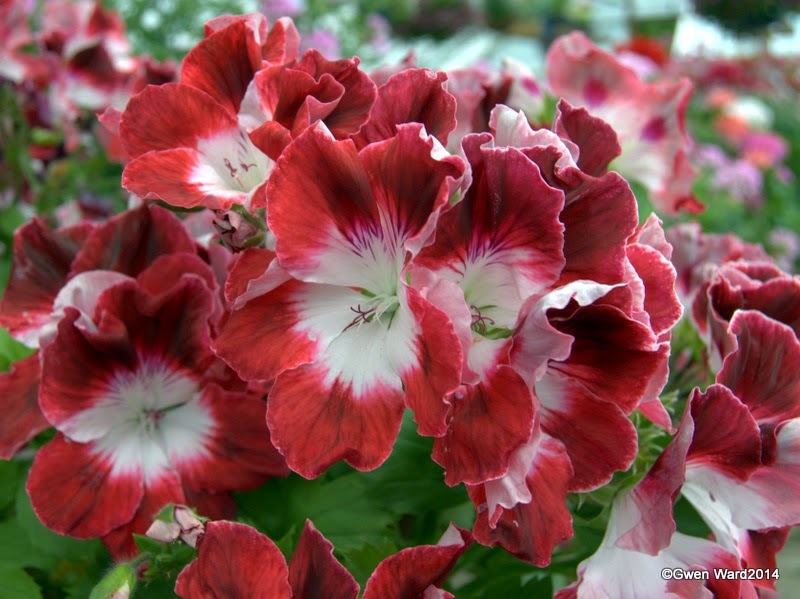 Wordless Wednesday - 14/01/15- Regal Pelargonium "Mendip Lorraine"
An old variety, Lady Folkestone was introduced by Cannell's in the UK in 1907 . Pretty pink single flowers with a white eye on a basic zonal plant.